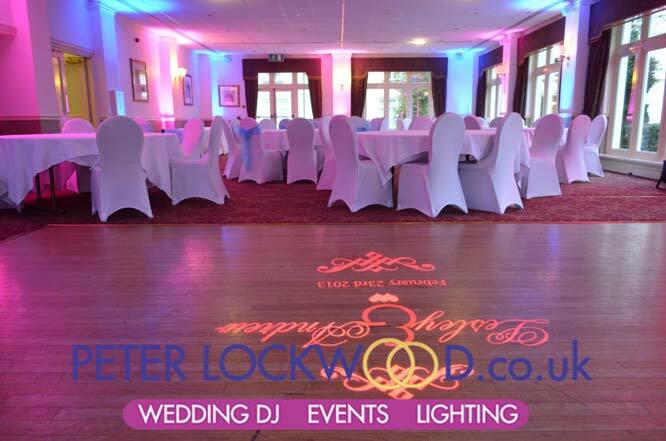 Dunkenhalgh Hotel Wedding UpLighting. 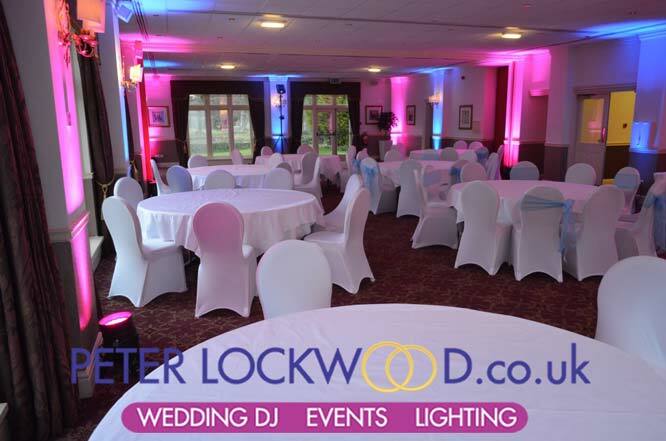 I have provides my uplighting service in both of the main function rooms at the Dunkenhalgh Hotel. 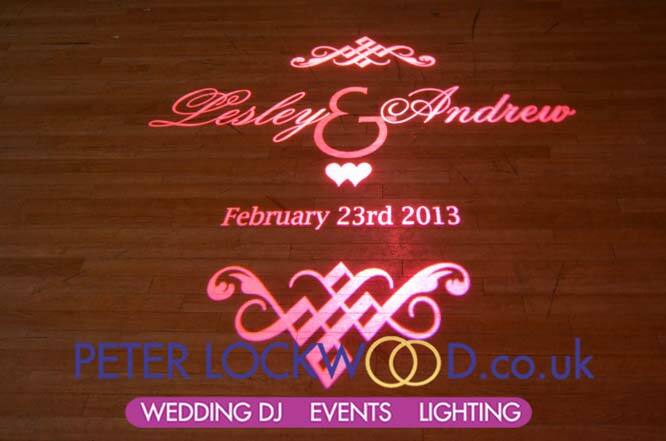 I provided pink and blue uplights along with my wedding monogram service. 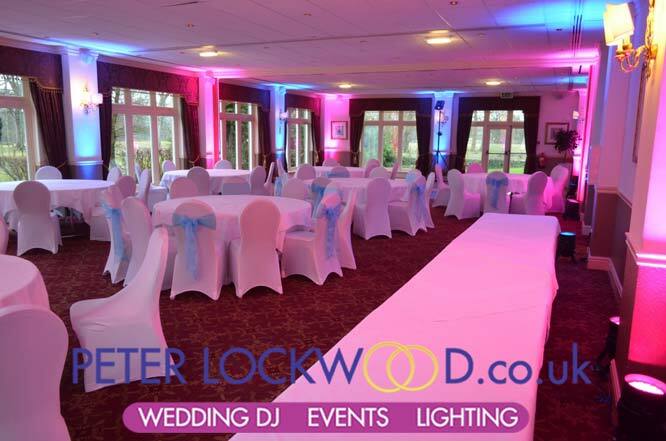 The alternate pink and blue uplighting worked very well in the Towneley Suite. It takes around 20 uplighters to transform the function room fully. The party finished early so I don’t have any evening pictures shame as its looks good in the daylight I would have loved to see what it looks like with the lights off. My table pin spotting service will look fantastic in the Pendle Suite. To find out more about Lighting, Drapes and Backdrops in the Dunkenhalgh please contact me for a quote. Peter provided the lighting for our wedding at the Victoria Warehouse in February 2018. He was super responsive and a pleasure to work with. He was also very flexible when we changed our specifications and added things close to the date of wedding. He was prompt arriving at the venue and our planner Becky, noted how wonderful he was was at setting up the spotlighting for our chuppah. I honestly can’t recommend him enough!